One-Piece plug for plugging CapTite ports. PEEK™. C360-101 plug can be used in any -C360 or -T132 port. 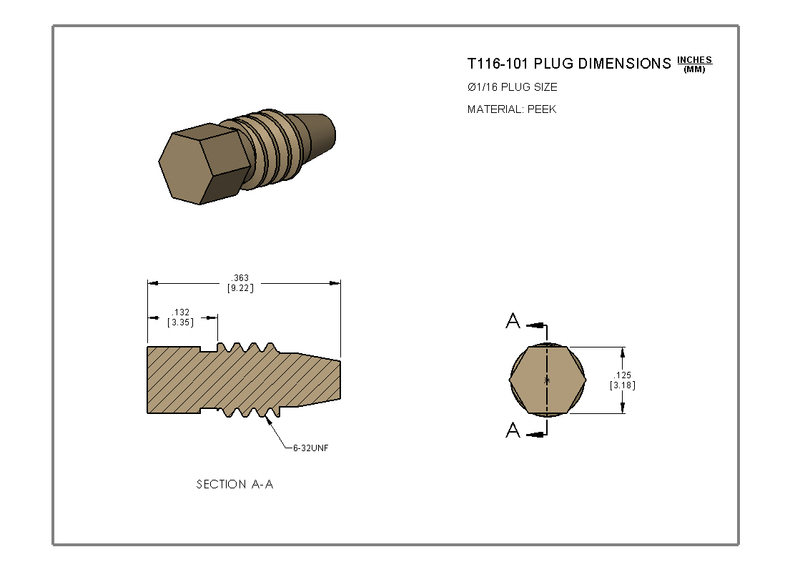 T116-101 plug can be used in any -T116 port. 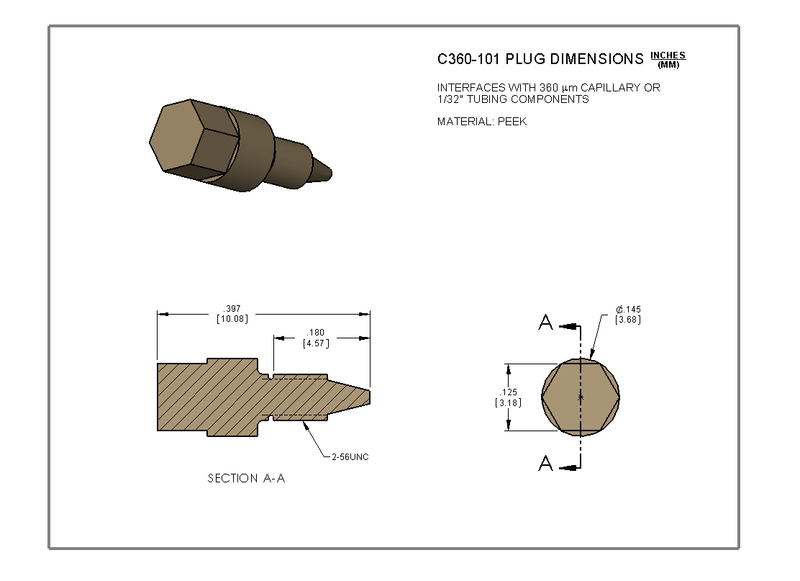 View component drawings of C360-101 and T116-101.